Object detection just landed in MXNet thanks to the work of contributors Kedar Bellare and Nicolas Modrzyk. Kedar ported over the infer package to Clojure, making inference and prediction much easier for users and Nicolas integrated in his Origami OpenCV library into the the examples to make the visualizations happen. We’ll walk through the main steps to use the infer object detection which include creating the detector with a model and then loading the image and running the inference on it. 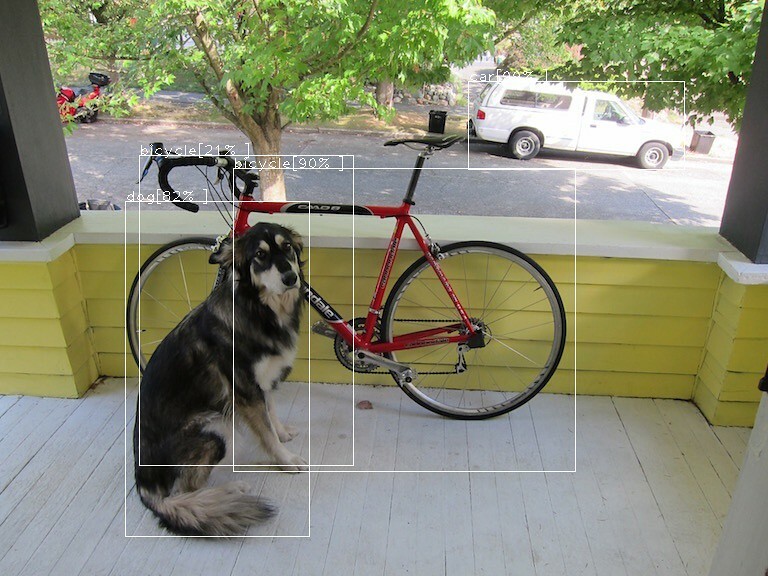 What model are you going to be using for object detection? In the code below, we are going to be giving it an color image of size 512 x 512. The shape is going to be [1 3 512 512]. The 1 is for the batch size which in our case is a single image. The 512 is for the image height and width. The layout specifies that the shape given is in terms of NCHW which is batch size, channel size, height, and width. The model-path-prefix points to the place where the trained model we are using for object detection lives. The model we are going to use is the Single Shot Multiple Box Object Detector (SSD). You can download the model yourself using this script. Now that we have a model and a detector, we can load an image up and run the object detection. To load the image use load-image which will load the image from the path. Then run the detection using infer/detect-objects which will give you the top five predictions by default. which you can then use to draw bounding boxes on the image. One of the best ways to explore using it is with the object detection example in the MXNet repo. It will be coming out officially in the 1.5.0 release, but you can get an early peek at it by building the project and running the example with the nightly snapshot. You can do this by cloning the MXNet Repo and changing directory to contrib/clojure-package. :description "Clojure package for MXNet"
If you are running on linux, you should change the mxnet-full_2.11-osx-x86_64-cpu to mxnet-full_2.11-linux-x86_64-cpu. Next, go ahead and do lein test to make sure that everything builds ok. If you run into any trouble please refer to README for any missing dependencies. After that do a lein install to install the clojure-mxnet jar to your local maven. 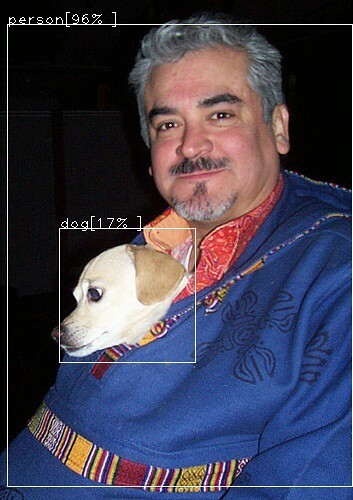 Now you are ready to cd examples/infer/object-detection to try it out. Refer to the README for more details. If you run into any problems getting started, feel free to reach out in the Clojurian #mxnet slack room or open an issue at the MXNet project. We are a friendly group and happy to help out. Thanks again to the community for the contributions to make this possible. It’s great seeing new things coming to life.